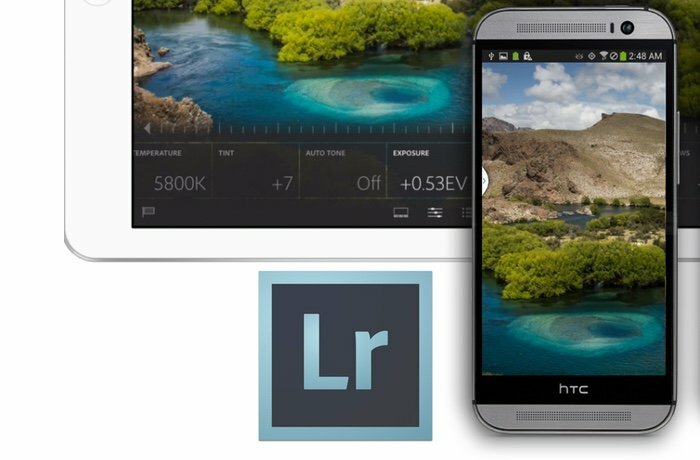 Adobe has this week rolled out a new update for its Lightroom Android application in the form of version 1.2 that brings with it a number of enhancements, tweaks and fixes. One of the major new additions to the latest Lightroom Android app is the enhancement of the editing options. That providing users with a faster way to copy image adjustments and paste them directly into another photo. ▪ Crop the perfect photo with a re-designed experience on your Android device that enables you to quickly adjust, align and auto-straighten. ▪ Easily find your favorite images! The new Segmented view in Collections give you a different way to view and engage with your photos. ▪ Screen occasionally went blank after changing the orientation from landscape to portrait. ▪ Lightroom could crash when customers tap the sign-in button. ▪ Fixed issue that could cause crashes when scrolling through a large collection and changing the device orientation from portrait to landscape (or vice versa). ▪ Hardware back button was not closing any contextual menus. ▪ Slow performance when swiping from image to image. ▪ Copying or moving an image into a different collection was not working correctly. Please note that this issue only occurred on certain Samsung tablets. ▪ Lightroom sometimes caused automated logouts. ▪ Edits not visible when sharing photos to certain 3rd party apps and services. ▪ Crash occurred when occasionally navigating from grid view to collections view. For more information on the new update jump over to the Adobe Blog website for details via the link below.